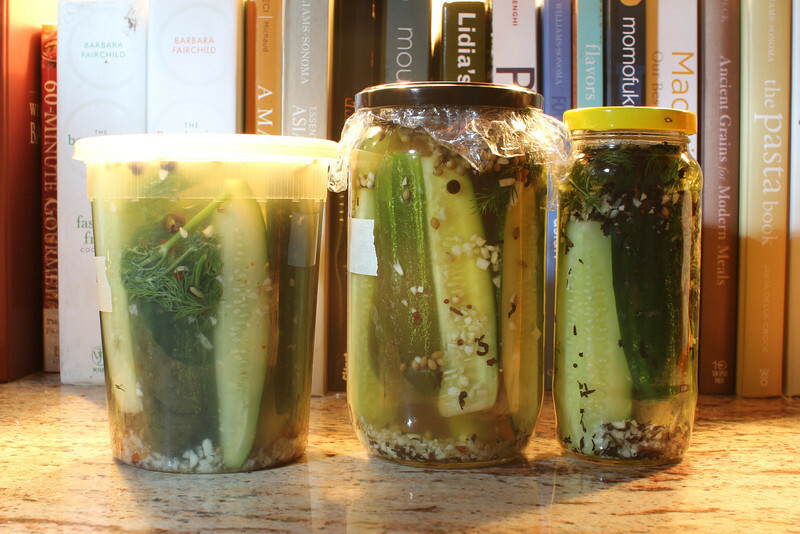 Three pickle recipes. Two brined. One with kimchi juice. None ready for tasting yet.